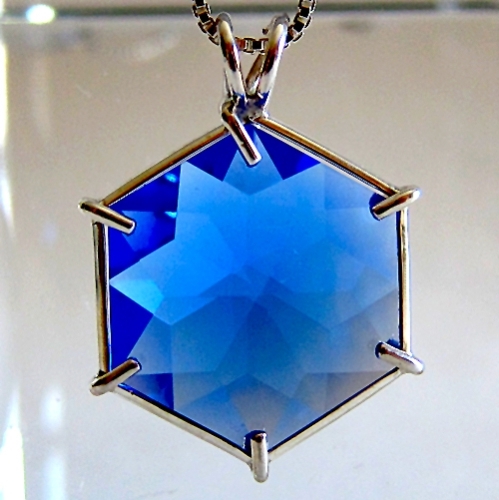 Dimensions (HxWxD): 1.2" x 0.85" x 0.2"
This beautiful and elegant Water Clear Siberian Blue QuartzFlower of Life Pendant is a faceted cut from the Tools of Evolution Line of Jewelry, cut in the style of Marcel Vogel. 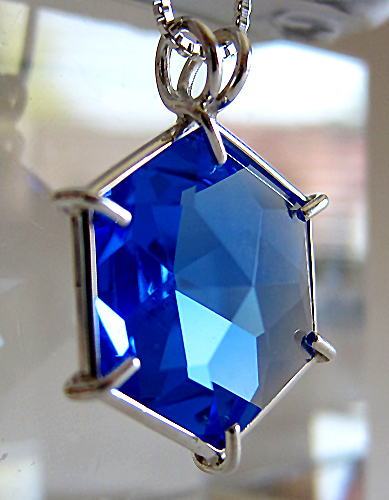 This laboratory-grown pure quartz Cobalt Blue crystal pendant is a unique flower-like 12 pointed star in a sterling silver setting which shows its luminous quality and allows the stone to breathe. 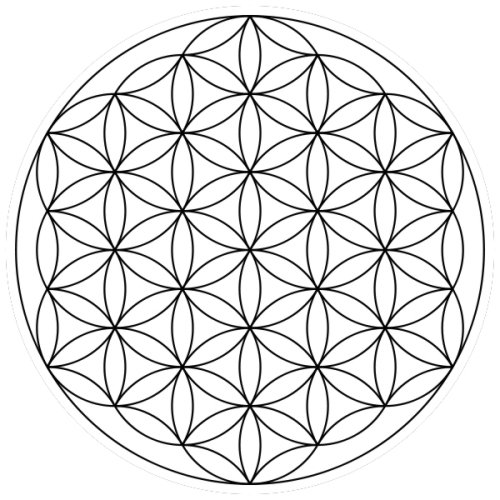 It is on a simple sterling silver chain which allows it to hang freely right at the thymus between the throat and the heart chakras where it will serve you well.